Happy Saturday! It's Ria here today. 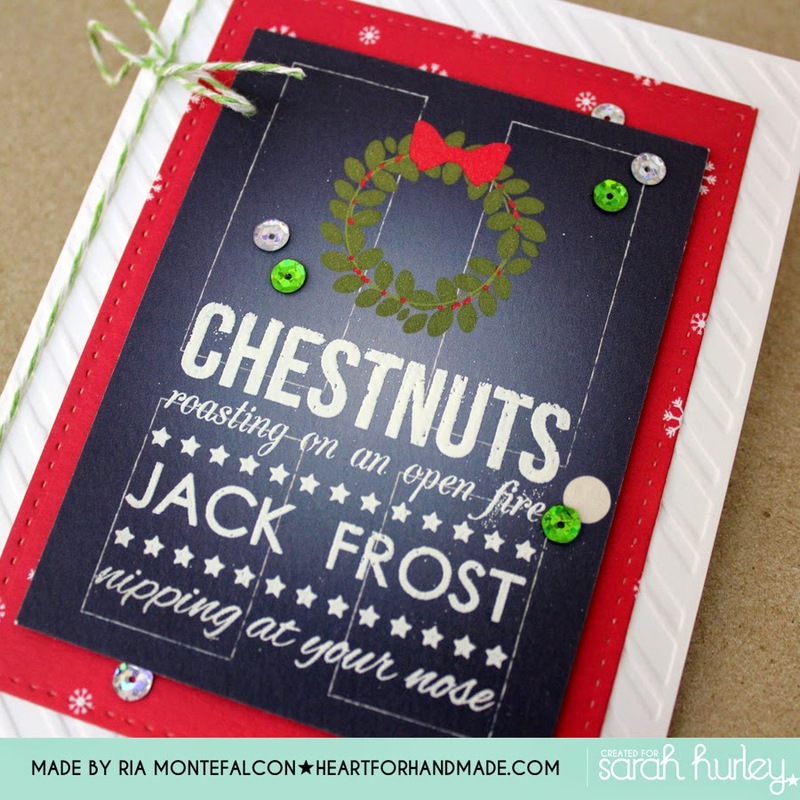 I'm sharing a very quick holiday card using minimum supplies. I'm also playing with the new stamp I got from Sarah called Christmas Word Art stamp set. For my card base, I embossed it using an embossing folder. 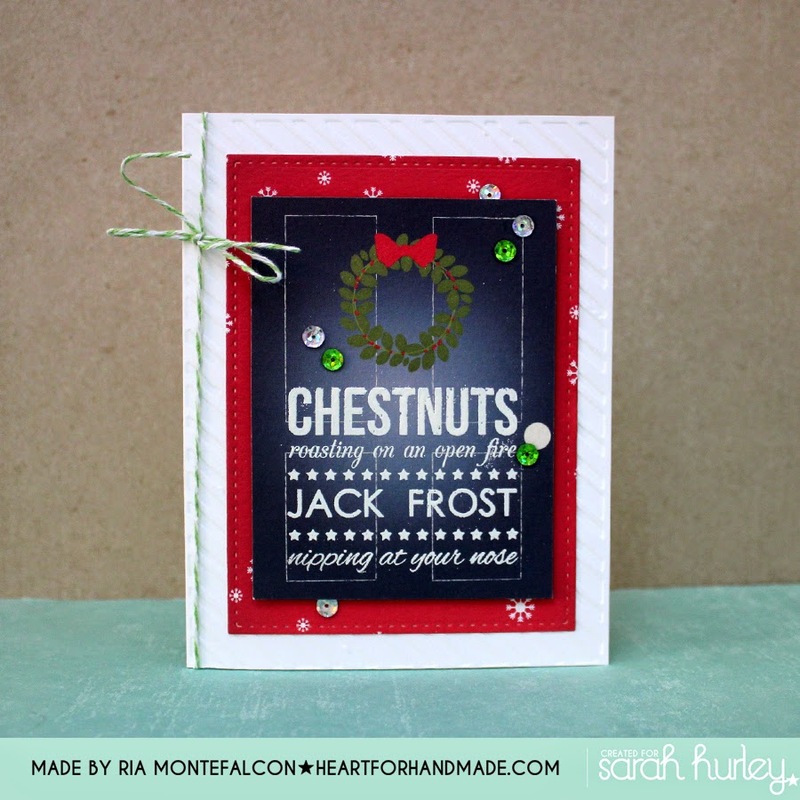 Then I used one of the sentiment in the stamp set and heat embossed it direct to the designer label paper from Sarah. I added a red patterned paper behind the gray paper to add more Christmas color to it. Final touch is to add a twine and sequins. I love this, I need that stamp set too.